Are you a bit clumsy when it comes to using your smartphone? 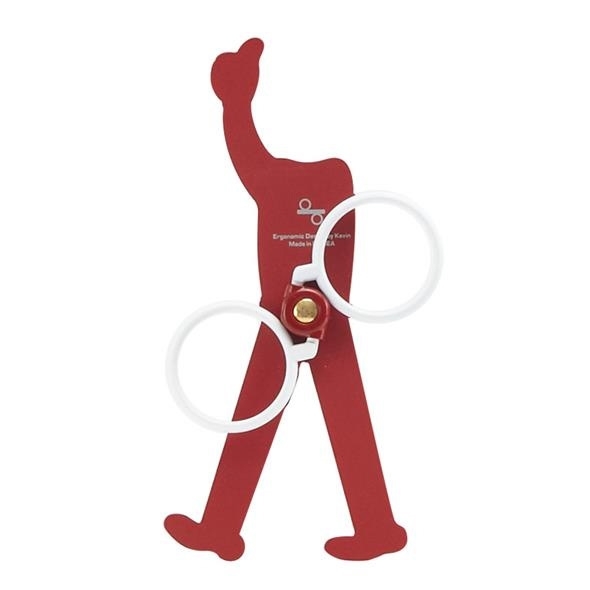 We've all been there when we've dropped it, but with the KEEEP Apple Man you won't have any more clumsy moments! 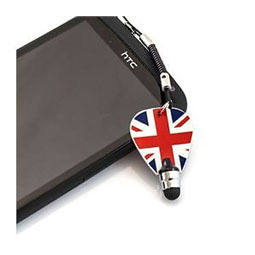 This nifty little gadget sticks to the back of your phone, without leaving any marks. 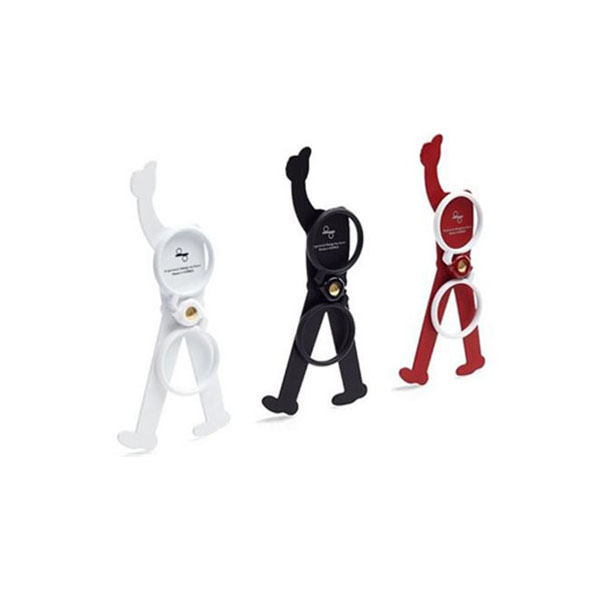 It even has two plastic loops for you to slip your fingers through, so you can play with your phone and text away without your hand and fingers cramping up without the worry of dropping your phone! 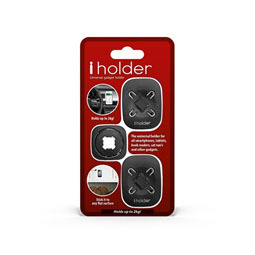 This gadget also doubles up as a mini stand, so that you can watch videos on your smartphone whilst keeping your handsfree! 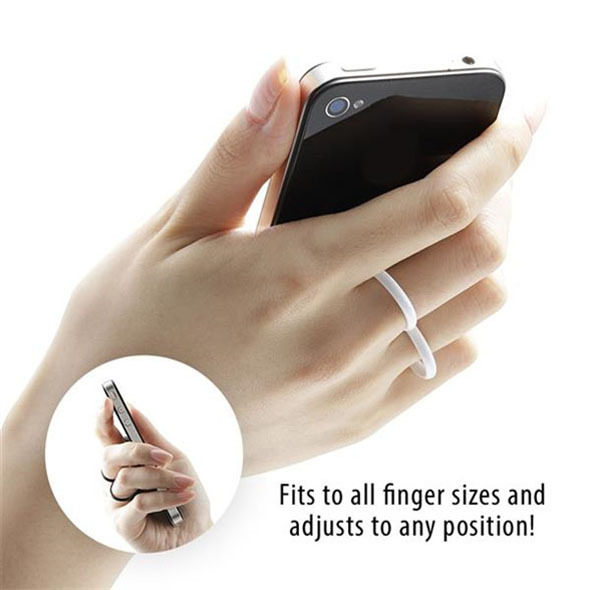 It is the perfect solution for those of you who are clumsy, and are on your phones constantly! KEEEP Apple Man is a patented finger holder device that allows you to text freely without the fear of dropping your phone! It also doubles as a stand for watching videos at home or in the office. Apple Man is Designed for iPhone but may fit other smartphones depending on the camera lens location. KEEEP is the most convenient way to support your phone for texting, watching videos and surfing the web.With KEEEP, your smartphone sits conveniently and firmly in your hand meaning that only one hand is needed to use your phone. 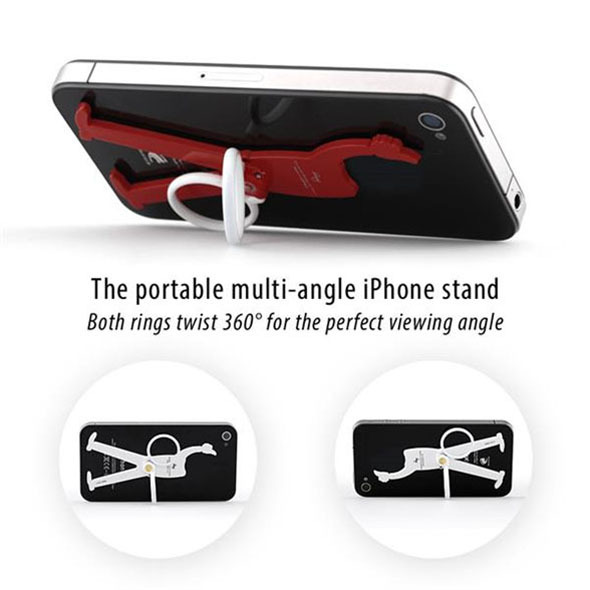 KEEEP's two rings rotate 360 degrees and serve as a multi-angle phone stand, the adjustable rings offer almost infinite adjustment to ensure the perfect viewing angle of your smartphone. Drop-safe and convenient in every situation, KEEEP's two finger design ensures you will never drop your phone again.KEEEP keeps your mobile phone conveniently in position in your hand without the need of a constant grip and fear of damage.With KEEEP, using your phone becomes a pleasure. Lying in your bed or on your sofa, you only need one hand to use your phone. KEEEP fits all finger sizes, the most suitable position for the rings is between the first and the second knuckles.